2In a large bowl, combine eggs, bread crumbs, milk, Parmesan cheese, and onions together. 3Add sausage into the mixture and mix together well. 4With your hands, shape meat mixture into large meatballs. Recipe makes 15-20 depending on the size. 5Spray the baking sheet and place the meatballs about 1/2 inch away from each other. 6Cook the meatballs on each side for about 8 minutes or until dark brown color. 7Preheat the Slow Cooker on High. 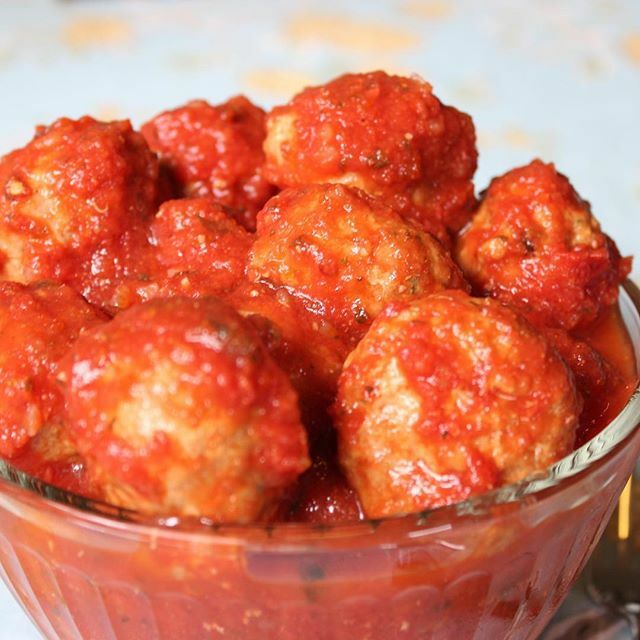 8Add half the meatballs to the slow cooker, then add half of the sauce. Add the rest of the meatballs and then add the rest of the sauce. 9Cook on High for about 45 minutes. 10Take one meatball out and cut it in half. If all the pink is gone, then they are ready to eat!